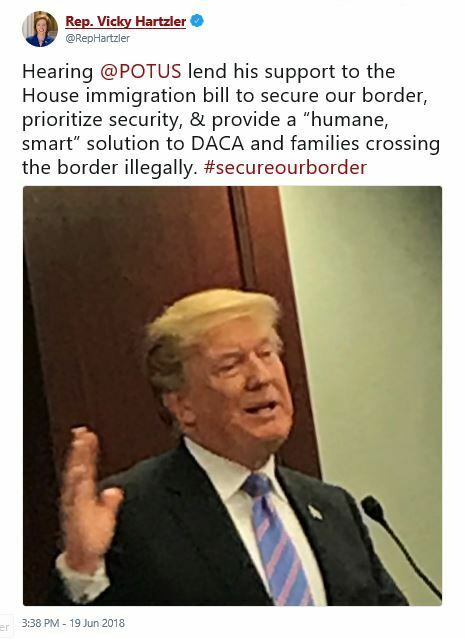 “#secureourborder”? By separating children from their parents and putting them in cages? I have never in my life seen such heartless people as I have in Congress. Be thankful Vicky those are not your children being ripped from your arms. How can you look at yourself in the mirror without being disgusted? 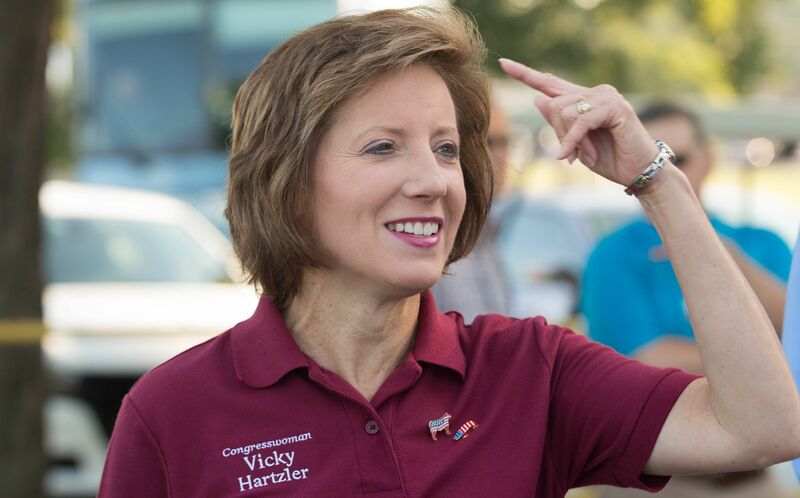 Jesus Christ, Hartzler, look around. What the hell kind of moral freefall are you gleefully allowing to happen? Stop thumping your bible and actually live by it for a change. His policy led to children being in cages. You’re doing nothing to stop it, this is the policy of this administration to commit human rights violations. And you support child abuse. Vicky, the conversation is about yanking children from their parents and locking them up. The inhumane treatment of the Dreamers and the immorality of separating children from their parents are policy decisions by Trump and could be ended by him immediately. Your refusal to demand he does that makes you complicit. Shame on you. Does the bill prohibit family separation because Trump says that will continue until Congress passes a law prohibiting it. So you’re listening to lies! Gotcha! Your bill won’t do any of those things. You’re a shameless liar. I am so sorry that I ever voted for you. You spoke to our school district and told how you value children and education. You lied to us! Stop blindly following the lies and immoral behavior of trump. Missouri is watching you! For the love of God, do what is right! Neither one of you have a humane bone in your body. Finally an issue where some Republicans finally draw the line and speak out against the actions and results of the policies set by this administration, and then there is you.